This ride was actually a week ago, but I’m finally getting around to posting some notes today. Super busy week. 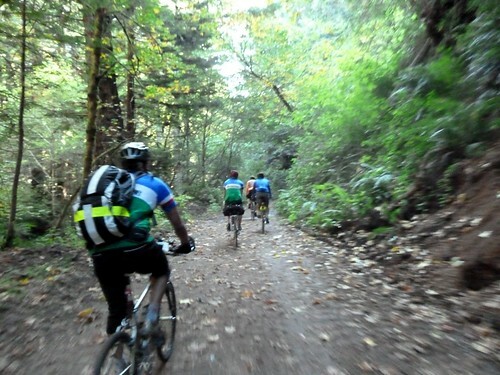 I signed up for my first dart with the Santa Cruz Randonneurs. The format was to ride in teams of three to five and converge on a single destination at once. 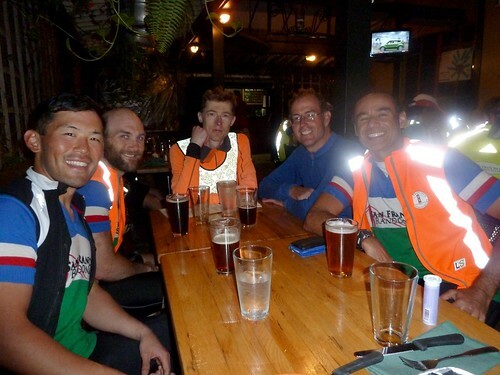 There were 11 or 12 teams riding from all around the Bay Area to the final destination, a brewery in Palo Alto. There were time restrictions placed on the teams so that teams would ride at a leisurely pace and arrive all at the same time. Oh, and the distance was a 200k or longer. Our route started in San Francisco, meandered down the coastline, over Skyline, out to Pescadero, and through the hills again to Palo Alto. The weather was ideal and the climbing was brutal. There was one climb, Purisima Creek, that was about 1,500 feet in elevation gain on gravel and dirt pack with slopes of 11+ degrees. I had to get off of my bike twice just to catch my breath. I can’t remember the last time I’ve had to do that. The total climbing for the day was close to 12,000 feet with a respectable portion of it off road. 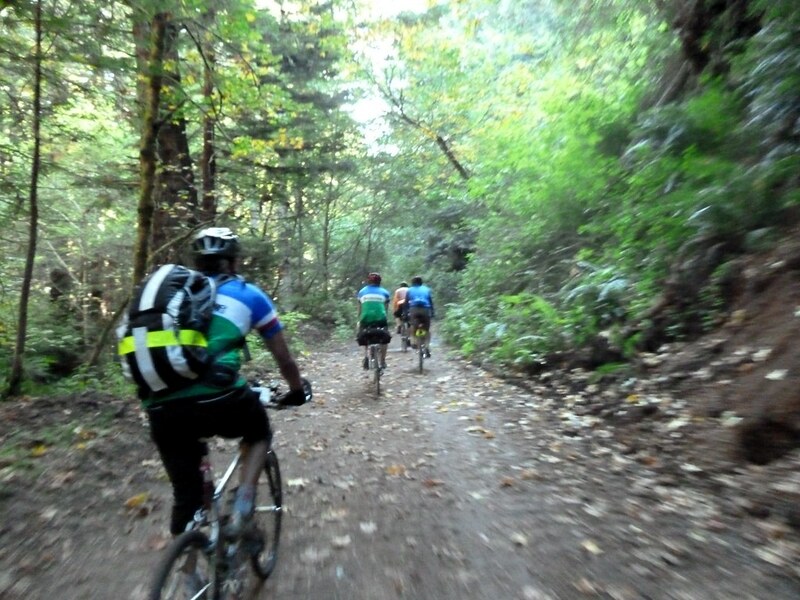 The nature of the ride allows teams plenty of time to regroup at controls or so we thought. The dirt sections had slowed us down more than we anticipated. At our second to last control in Big Basin, we did a time calculation and figured we would have to hustle to our final control just so we didn’t miss our time cutoff.